Review: Three Fourths Home: Extended Edition – Can You Get Home in Time? Three Fourths Home: Extended Edition was developed by [bracket]games and published by Digerati Distribution. Zach Sanford is the writer/designer of the game. The original was released in July 2014. Three Fourths Home drops you in the middle of this family’s life, and not everything is made 100% clear at first, or even at all. Information is revealed in a way that feels natural; I never felt like I was being expositioned at. It’s an extremely evocative, emotional experience, and because of the storm and the rain, I was tense throughout. You have to keep driving as you select dialogue choices, which adds to the tension – if you stop driving, time in the game stops as well, and your dialogue goes away. It can be tiring on the hands after a while. A lot is explored here, including family dynamics, alcoholism, disability, and failure. There’s quite a bit of humor present as well, and I think a lot of people will be able to relate to Kelly and her family somehow. The visuals are excellent, with a cool layered effect going on. This extended edition Steam release includes “an expanded edit of the initial release as well as several new elements, including a new epilogue, in addition to a number of extra features.” The extra features include a radio where you can listen to the soundtrack (composed by Zach’s brother Jon under the name Neutrino effect), stories written by Kelly’s younger brother, and photographs taken by Kelly. These extra additions enhance the world of the game without removing every mystery. The epilogue actually takes place before the events of the main game…sort of. It’s an interesting way to add something to the story without removing the ambiguity of the ending. Nearly 800 unique dialogue choices are present. It took me 70 minutes to complete one playthrough, and there’s definite replay potential here. If you like excellent interactive fiction (with a twist! ), play this. 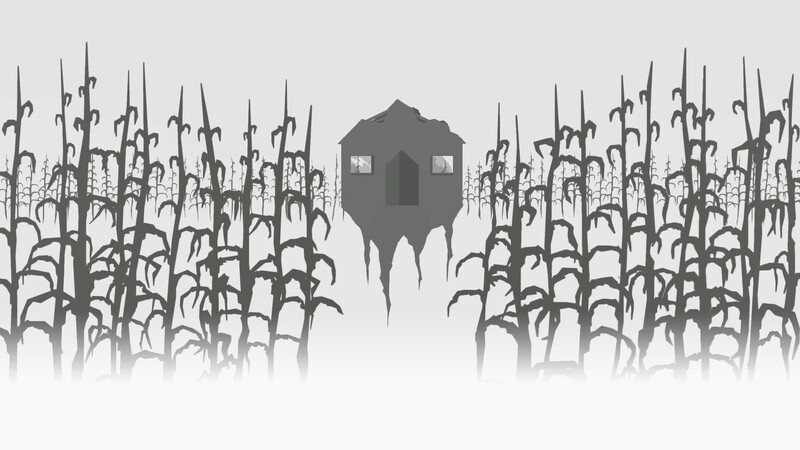 Get Three Fourths Home: Extended Edition on Steam for $6.99. You can get a version with the excellent art book, complete with developer commentary, for $9.99. You can also get it on itch.io in both standard and deluxe editions! Visit the official site and follow [bracket]games on Twitter. Also check out the [bracket]games website to see what else the team is up to.